Over the past few years, our state’s multifamily rental housing industry has observed significant increased demand, especially in the Denver metro area. Colorado has the lowest unemployment in the country at 2.3 percent and people are moving here as a result. 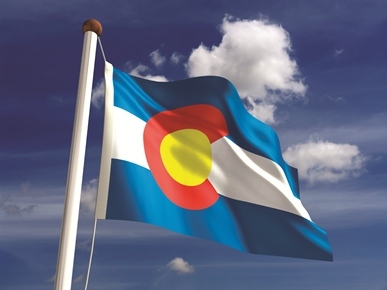 According to the Colorado State Demographer, the population is expected to increase at 1.7 percent each year, which is roughly 396,000 people from 2018 through 2022. Today, the American Dream is evolving – no longer focused on buying the single-family home with the white picket fence. Increasing numbers of seniors seeking to downsize are placing walkability, security and maintenance-free living as priorities. College graduates, often strapped with student loans, avoid additional debt and look to rent, which offers the flexibility to move to another market in pursuit of the dream job. Because of these new dynamics, demand for rental housing is high and the new “renter nation” is in full swing. Couple this with a low inventory of single-family homes and it is clear – our metro area communities are in dire need for more housing. Nearly 40,000 multifamily units along with 37,000 single-family homes have been introduced to the Denver area market over the past four years, and the absorption rate for these newly added units is at an all-time high. It is estimated that another 60,000 multifamily units are needed before we reach equilibrium in the current market. Basic supply and demand dictates that as demand for housing continues to increase, housing costs will continue to escalate barring an increase in supply. Industry experts agree that Denver’s strong economy continues to drive the rental market, and they emphasize the importance of adding new supply. The recent growth, driven by a strong economy and demand for housing, has led to frustration among many. Traffic, high housing costs, gentrification, density and changing neighborhoods prompt constituents to call on their elected official to “do something.” Along with other well-meaning but misguided legislative proposals, we are now seeing the introduction of several antigrowth ballot initiatives. These reactionary and ill-constructed proposals severely limit the development of additional much-needed housing units. One such growth limitation proposal would restrict building permits to 1 percent of the current stock in each of the 10 counties (Broomfield, Denver, Adams, Arapahoe, Boulder, Douglas, El Paso, Jefferson, Larimer and Weld). It would apply to all types of residential housing including single-family, apartments, mobile homes, condominiums and townhomes. The potential Nov. 6, 2018, ballot measure would place an immediate moratorium on any new building permits from the day of the election to the end of the year. Additionally, counties would be limited to issuing permits for 1 percent of the existing housing stock per year until 2022, at the earliest, if overturned by the voters through county referendum. Lakewood and other municipalities are looking at similar measures. Restricting housing production would not only exacerbate rising housing costs, it also would drastically diminish the ability to produce much-needed affordable housing. Keep in mind, the median new home price in Denver exceeds $537,000. Average rents are just over $1,400 per month. If supply is artificially cut off, housing prices and rents will rise. It will become more difficult for low- and moderate-income families to find housing. Unable to afford housing, more individuals will likely face homelessness. Employers keeping Colorado’s economy strong will begin to leave for more affordable markets where they can find employees who can afford to live near their work. Within the five-year timeframe contemplated by the proposed initiative, conservative calculations estimate an economic impact of $26 billion, equating to nearly $5 billion in lost fees and tax revenue for local governments. Another inevitable result includes the loss of over 50,000 permanent potential jobs for our communities and the reduction of 147,000 construction jobs and from those, induced jobs tallying over 117,000. Although there is no silver-bullet approach to address affordable housing needs, newly crafted policies must be thoughtful, documented and studied to accomplish a positive, meaningful impact for our community as a whole. A limit on new housing is not the answer. Let’s keep our community vibrant, economically sound, attainable and affordable. Growing pains can be difficult, but a studied approach is best.